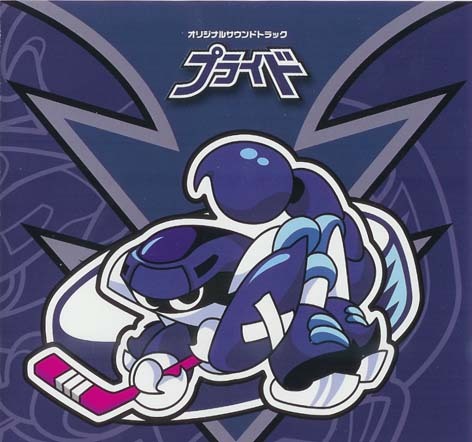 The theme is strength and gallantry.Haru Satonaka is the captain of an ice-hockey team, a star athlete who stakes everything on hockey but can only consider love as a game. Aki Murase is a woman who has been waiting for her lover who went abroad two years ago. These two persons start a relationship while frankly admitting to each other that it is only a love game. …The result is the unfolding of a drama of people with their respective pasts and with their pride as individuals. shiraiishi May 26 2017 7:22 am for me, this drama is amazing but i would say Good Luck!! drama beat this drama~ and ofc this these drama are good when KimuTaku acted!! Rie Apr 30 2017 3:41 pm Watch this dorama like as being on roller coaster. No wonder this became the best romance dorama in japan. I recommend to see this drama. Maybe. Oh, no no...but must be. shampa mukherjee Apr 23 2017 7:25 am I loved the drama. I am in love with Takuya Kimura . so soooooo intense eyes and what a smile. OMG. Grace Apr 15 2017 9:29 pm Oh my just finished watching this awesome drama. Probably the best I have seen so far. Glad gave this a try.... better late than never. Now my favorite!!!! Thandy Feb 19 2014 6:18 pm This drama is just full of awesome , so glad I watched it. Takuya Kimura was great as usual. It's a very good drama, you should definitely watch it if you haven't seen it yet. hannah Jan 28 2014 9:23 am great drama, great soundtrack, great story line, great acting and plus great actor which is one and only taku-sama!! >.< love him!! Fitri Hatci Dec 29 2013 11:08 pm On yesterday i wathing this drama from the first episode i say the drama very good,and i falling in love with satonaka halu,Mr.Takuya kimura has the natural acting and a good looking ;-) (for me) his a charming,the guy very good for everyone. C Jun 13 2013 7:42 am This was surprisingly good. It has a great Queen soundtrack, decent ice hockey sequences, and a fantastic lead actress. I've seen her in two other series (Strawberry Night and Lunch Queen) and this is a far more restrained role, but played very convincingly. I'm not a Kimura Takuya fan but he suited his role perfectly too. His character's relationships with the other characters (coach, friends, team etc) were interesting to watch. Disaster Devil Jan 22 2013 3:25 am Loved it! So cute. The song timings are great! Love Queen! !